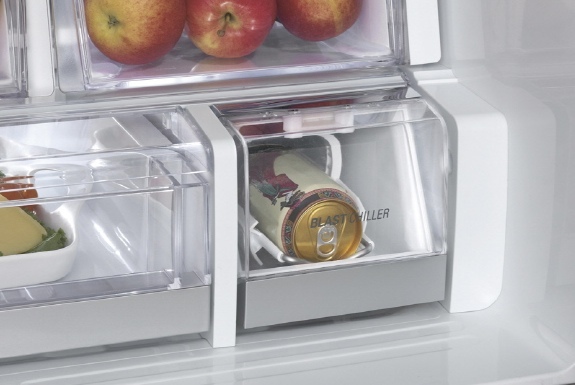 And the refrigerator can not only quickly chill liquids in aluminum cans. 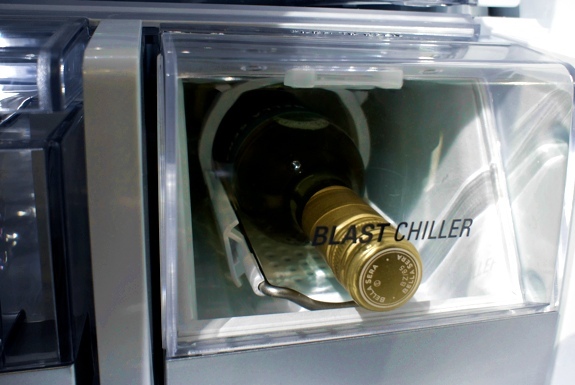 The Blast Chiller will also turn a warm one liter glass bottle of liquid cold in about eight minutes. The fast chilling is accomplished through a combination of two methods. 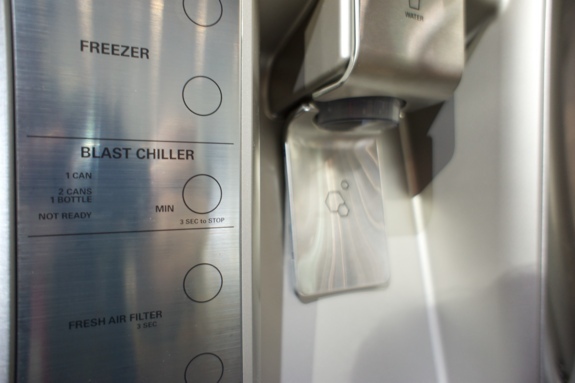 First, the refrigerator quickly cycles very cold air from freezer through the small Blast Chiller drawer. Second, it swirls the can or bottle in the drawer so that the chilling effect is efficiently spread through the liquid. 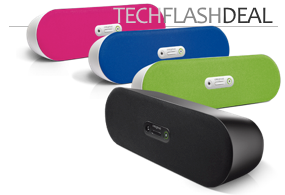 LG says that this swirling effect does not agitate carbonated liquids, so your newly chilled can of soda won’t explode when opened. The catch? Because the Blast Chiller uses air from the freezer there are limits to how frequently it can be used. Chill three bottles of wine one right after the other and you’ll have to wait around three hours before you can chill a fourth. • 13-inch extra-tall ice and water dispenser. 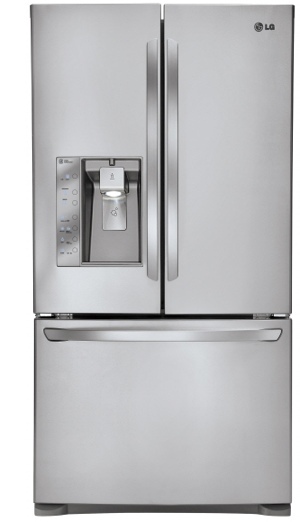 LG hasn’t officially announced the how much the Ultra-Capacity French Door Refrigerator with Blast Chiller will cost. But then how can you put a price on a quickly cooled beer?